The Great Ocean Road is what road trips were made for! The scenery is spectacular, and the small towns along the route provide for ample entertainment. But you, savvy traveler, already know this, and that's why you're here! Where should you sleep during your epic journey of Australia's southern coast? Don't worry, we've got you covered. The hostels listed here tend to cater to both backpackers and road trippers, so you can't go wrong with any of these. In fact, some of the hostels we've listed here are some of the highest rated in all of Australia, and many guest claim them as favorites. Fuel up, load up, and get started! This modern, comfortable, and environmentally friendly hostel is located just a few minutes' walk into the town center of Apollo Bay, where you can find shops, restaurants, bars, and more. It's also close to the beach if you want to go surfing! They offer private rooms of various sizes (including larger family rooms) as well as dorms with bunk beds and lockers. All rooms have shared bathrooms, and the facilities are clean and modern. You really can't go wrong here, as there is something for everyone. The long list of amenities also includes comfortable common rooms with TVs, two very well stocked communal kitchens (probably better than you have at home! ), an outdoor deck with great views over the town and surrounding countryside, free parking, free Wi-Fi, a reading room, book exchange, and more. The staff is very helpful and friendly, and can provide advice or book various activities in the area such as horseback riding, kayaking, windsurfing, and more. Guest reviews are consistently very positive. Take a look at the photos, too! Wow! This place is amazing! 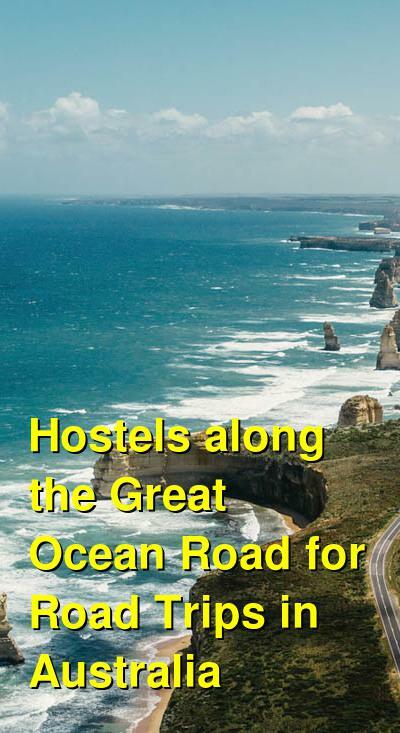 The Port Campbell Hostel strives to provide the best value it can, as they make sure that their bed prices are low but the facility and amenities are top tier. The common areas of the hostel are decked out in a fun, eclectic decorative style, while the rooms are modern and sleek. 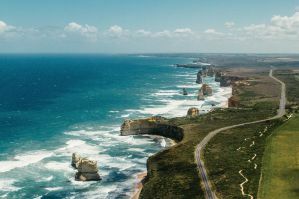 They are in the heart of Port Campell, which is only a few minutes' drive to the Twelve Apostles. With private rooms and dorms on offer, there is something for everyone. Common areas are large enough to accommodate the fairly extensive size of this hostel. The sofas and chairs are comfortable, and TVs and games provide entertainment. The shared kitchen is large, and has multiple stoves, ovens, sinks, and utensils for everyone to cook at the same time. They even have a large outdoor BBQ kitchen area for the summer months. Bathrooms are clean and modern as well. They also offer free parking (this IS a road trip, after all! ), free Wi-Fi, key-card access for security, an outdoor terrace, laundry facilities, bicycle rental, an onsite bar and mini-mart, and more. They also have a family suite. Guests leaving reviews tend to make statements similar to "the best hostel ever." They receive positive marks for the friendliness of the staff, cleanliness, and great amenities. In the heart of Torquay, not far from the beach sits this house-like hostel with a comfortable and social vibe. They offer dorms of various sizes and one private room. The building is modern with an updated and sleek communal kitchen and comfortable common areas. Everything is kept clean and safe. They even have a friendly dog to keep you company. The location is great, as it's just a 10 minute walk to the beach, a short distance from everything in town, including the Quicksilver and Ripcurl factory outlets and other surf shops, plus bars, restaurants, and more. The walking trail from Torquay to Bells Beach is not far away, as is the national park area. Also on offer is free parking, free Wi-Fi, luggage storage, tour booking, BBQ and an outdoor terrace, laundry, and tour booking. Guest reviews are consistently positive! This small hostel near the central area of Anglesea has a home-like feel, and upgraded kitchen, and some very friendly dogs to welcome you during your stay. They also have a BBQ and outdoor patio area. The staff are very helpful and friendly, and do their part to encourage the interaction among the guests. If you like to stay in smaller places with an intimate social feel, this is the spot for you!